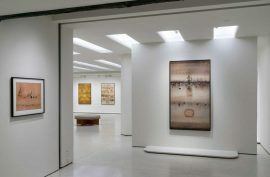 Organised chronologically, the exhibition draws a developmental arc from Gaitonde’s early figurative, mixed media works and his water colours inspired by Paul Klee (1879-1940), through his major bodies of paintings from the 1960’s and 70’s during which time he developed his signature oil works on canvas, to his late works from the 1980’s and 90’s. 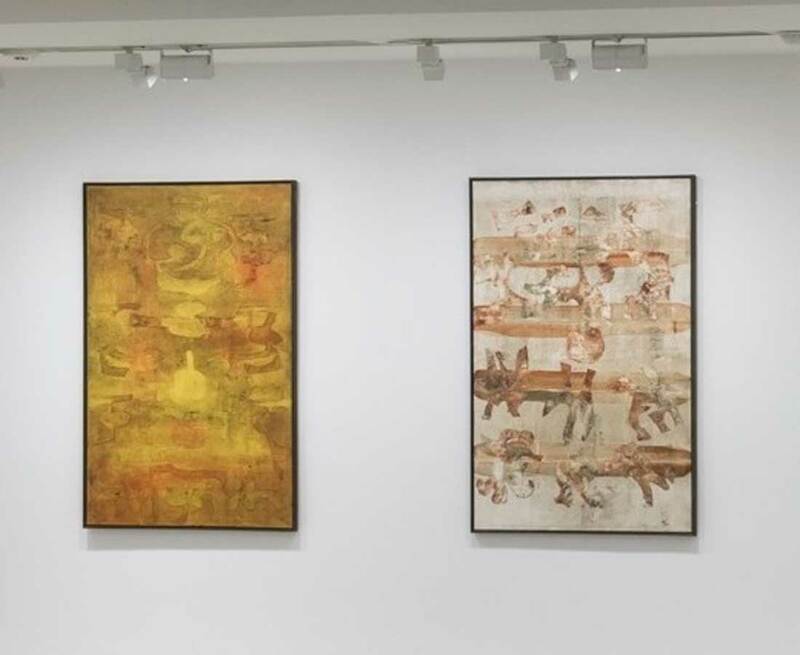 Two ‘Untitled’ oil on canvas works from the Jehangir Nicholson Art Foundation were part of the show highlighting his major body of works from the 1970’s. 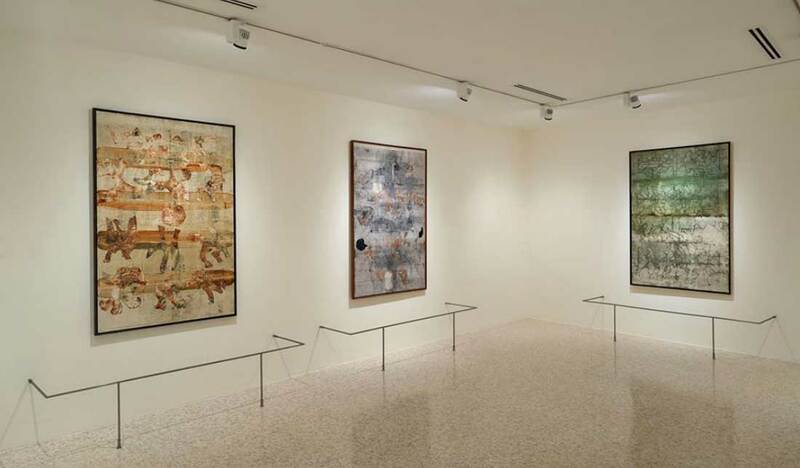 It marked the first solo exhibition of an Asian artist at the Peggy Guggenheim Collection. 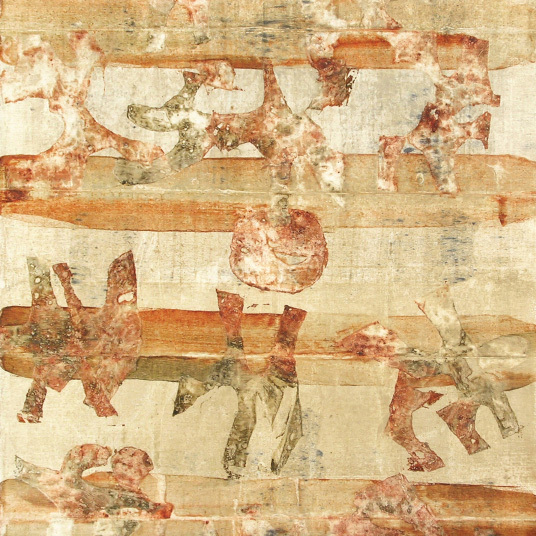 V. S. Gaitonde was born in Nagpur, Maharashtra in 1924. He received a Diploma in Painting from the Sir J. J. School of Art in 1948. 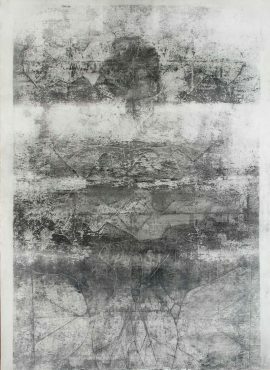 Impressed by his work, he was subsequently asked to join the Progressive Artists’ Group. 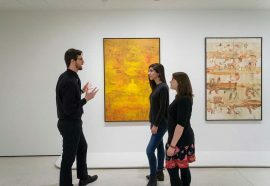 Although he was considered an abstract painter, he preferred calling his work “non-objective”, and believed that “there is no such thing as abstract art.” Gaitonde’s paintings, evocative of subliminal depths, are known for their spiritual quality and characteristic silence that is as meditative as it is eternal and momentous. 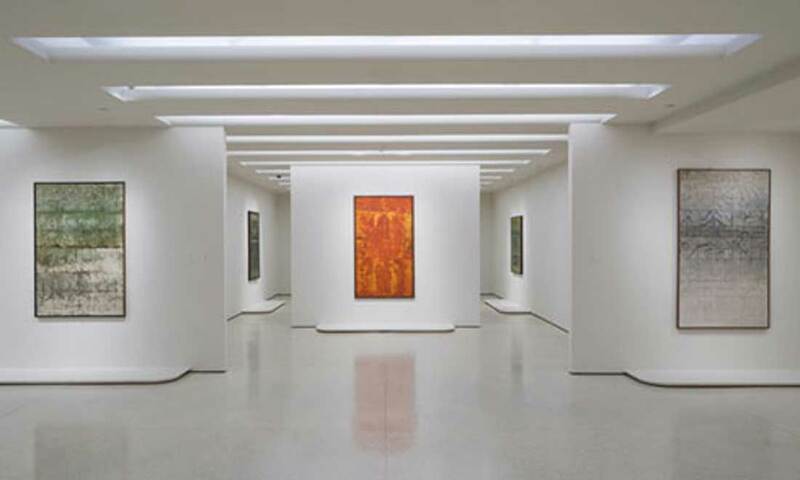 The plain, large surfaces of layered paint possess an inherent quality of light. 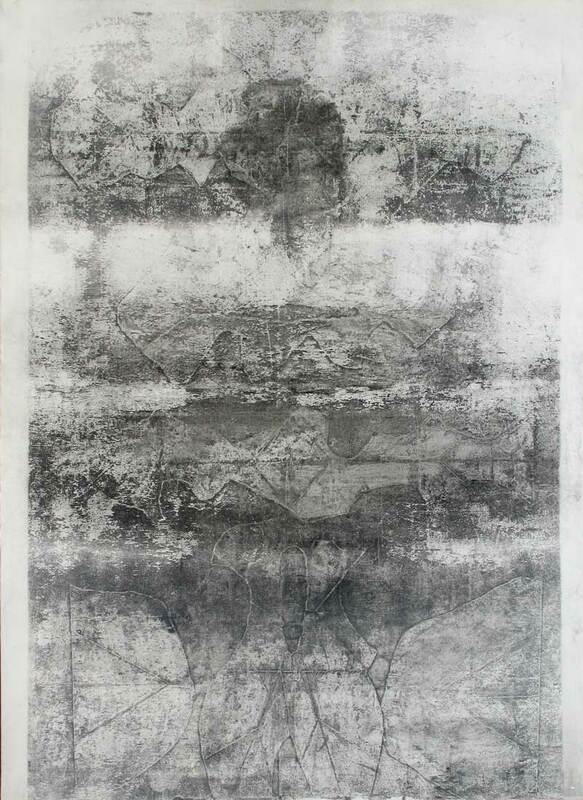 The textural structure along with the interplay of colour is the main aspect of his works. 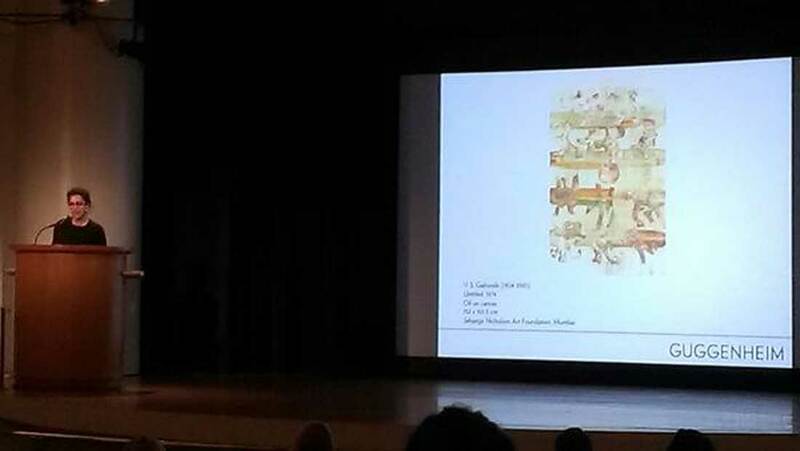 His compositions, inspired by zen philosophy reveals his speech and emotes silence. 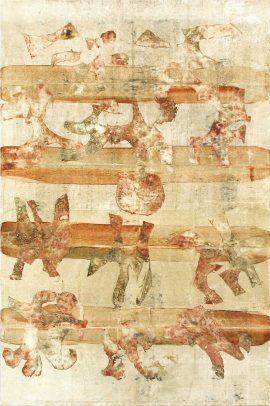 Art, for Gaitonde, was a process complete in itself. In exploring his inner spaces and transient realities, it helped him move towards himself. 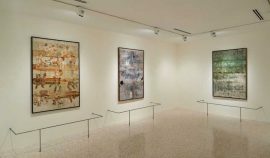 His paintings bring out fact that the process is the result. 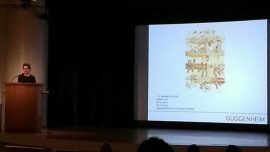 He worked with various mediums, and used a roller and palette knives to create his own layered texture. Over the years, he evolved as a painter who was increasingly more meticulous. 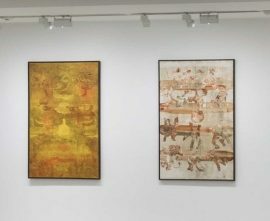 Gaitonde’s work has been exhibited at several exhibitions in India and abroad. 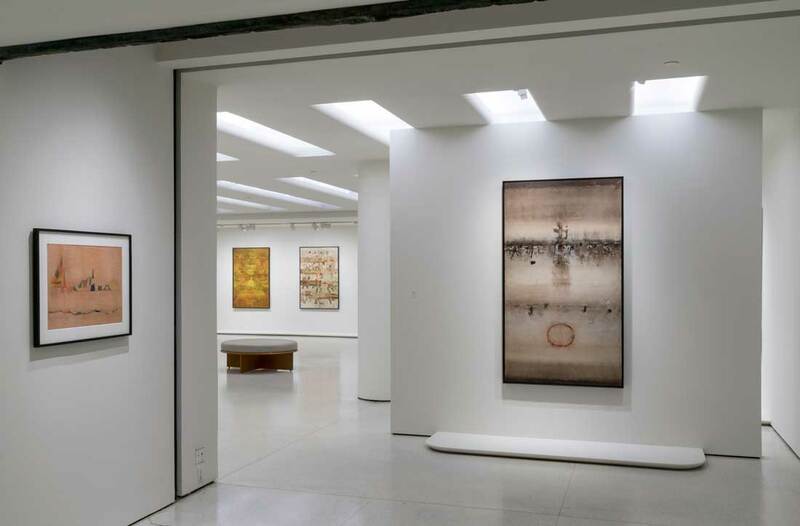 In 2014-2015, the Solomon R Guggenheim Museum in New York organised a major retrospective of the artist’s works, titled V S Gaitonde: Painting as Process, Painting as Life. Gaitonde was awarded the Padma Shri in 1971. 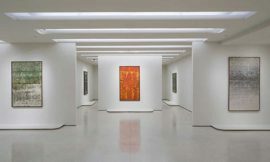 He also won the first prize at the Young Asians Artists Association in Tokyo in 1957 and a Rockefeller fellowship in New York in 1964. 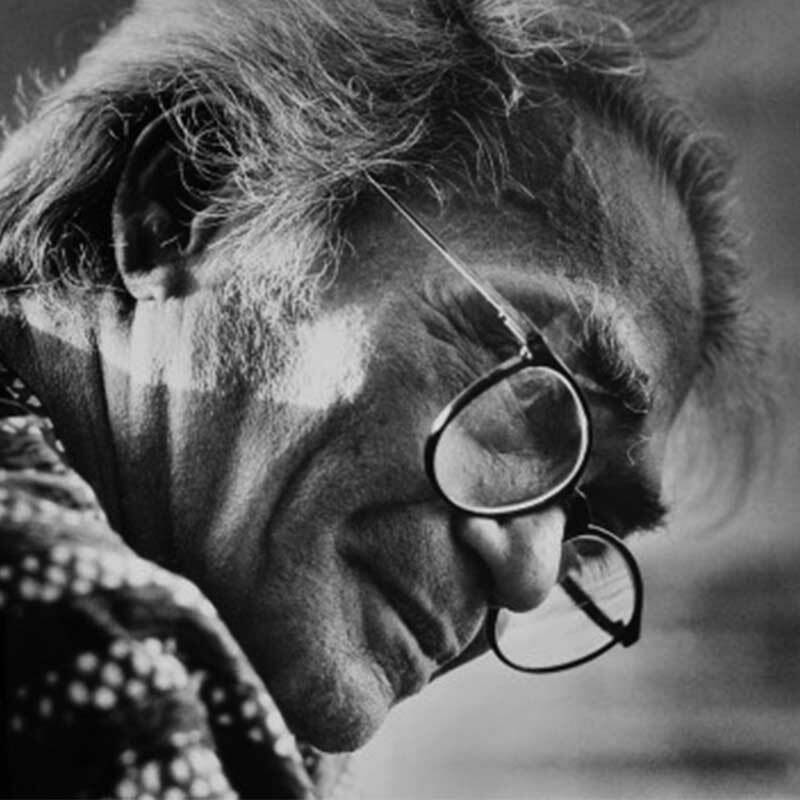 He lived and worked in New Delhi, and passed away in 2001.